It has been a while since I last posted. This past weekend we traveled back home to celebrate my brother graduating with his masters! I only took 2 pictures while we were there, I guess I was so busy trying to fit in seeing all our friends and family I forgot to take pictures to document the weekend, oops! 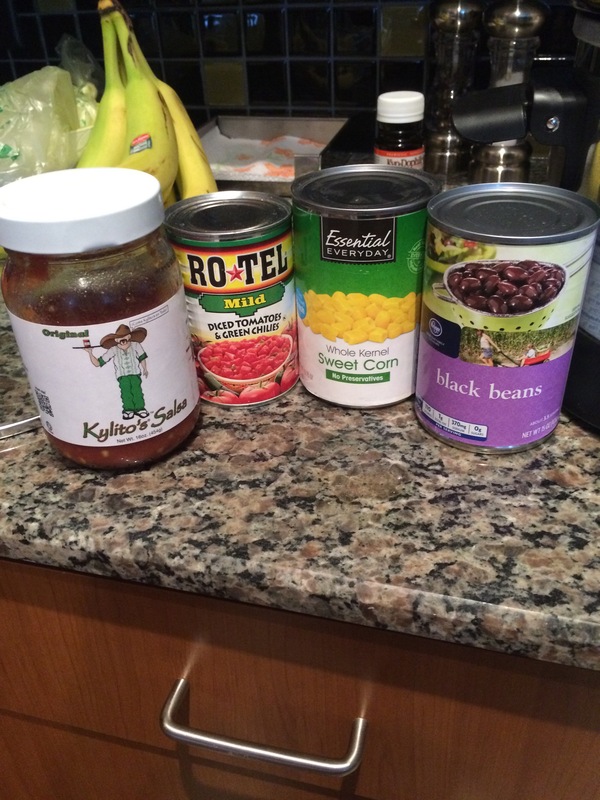 So anyways, I am sharing a easy peasy cheap recipe with you all. We are in a transition stage over here with j starting his new job so our budget is pretty strict. not. much. wiggle. room. While I was planning the menu I was looking for something that would make a lot and have a small ingredient list. 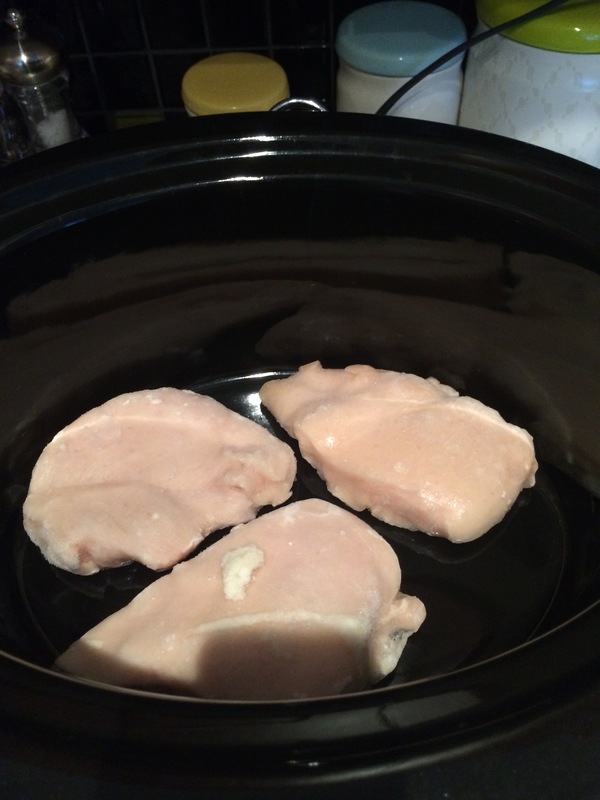 So I present to you… Mexican chicken! JUST USE WHATEVER YOU HAVE! I personally did a little bit of everything, I glanced at this list of spices and just pulled whatever I had in my cabinet that sounded good. I also hardly ever measure spices for dishes like this I just sprinkle whatever looks good to me. Remember you can always add more. I pulled my chicken straight from the freezer, some people say not to but I had no choice because of time and I have no shame. Once its ready take out the chicken and shred away! 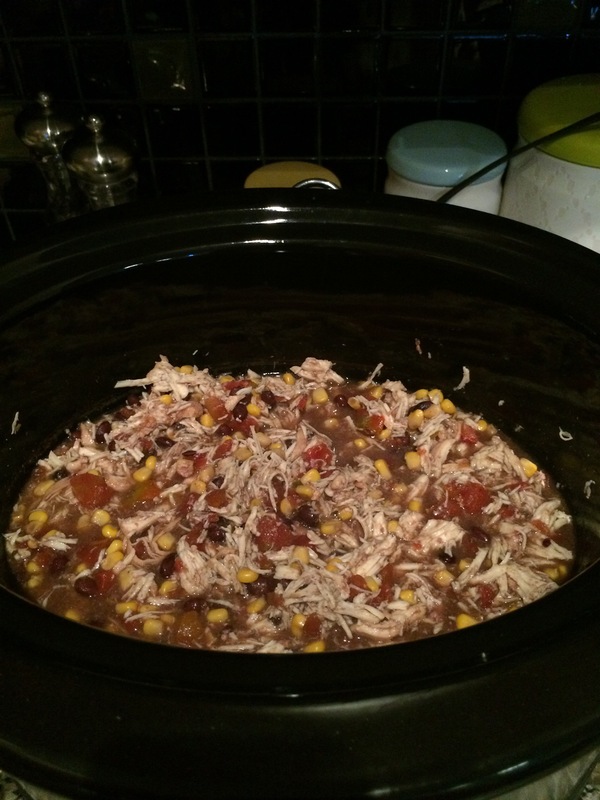 This made a ton of chicken mixture and it taste pretty good. I even had some left overs for lunch and put it with some lettuce to make a salad. I think you could also use it wrapped in a tortilla or even on some chips like nachos. 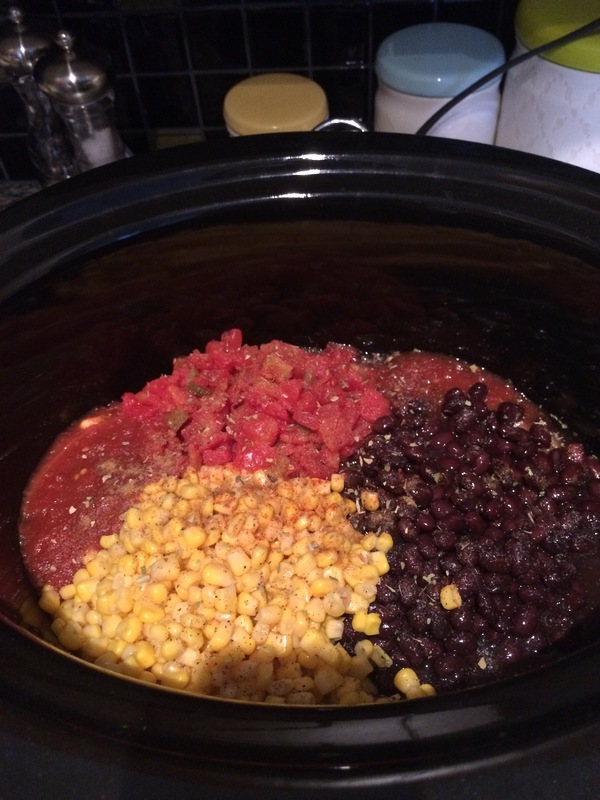 Add chicken, beans, salsa, tomatoes, corn and spices into slow cooker. Stir them together making sure liquid covers chicken. 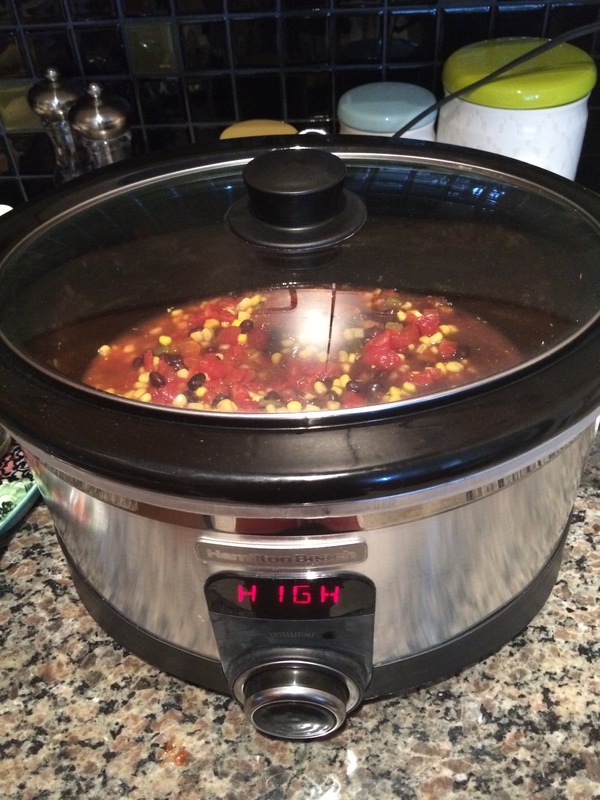 Set on HIGH for 4 hours or LOW for 8 hours. When you are about ready to serve your chicken, cook the rice according to the directions. 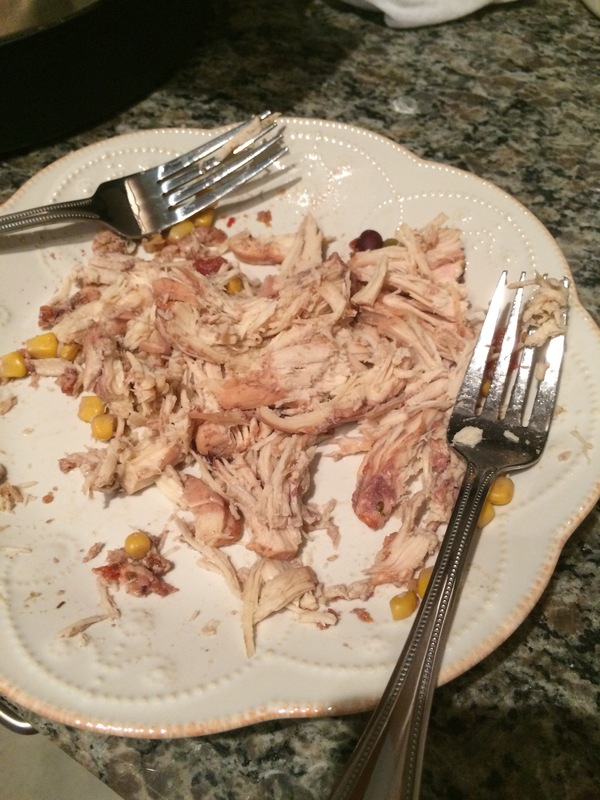 Take out your chicken and shred with two forks then add it back into your slow cooker. Then you can start assembling your bowls, salad, or tortilla. 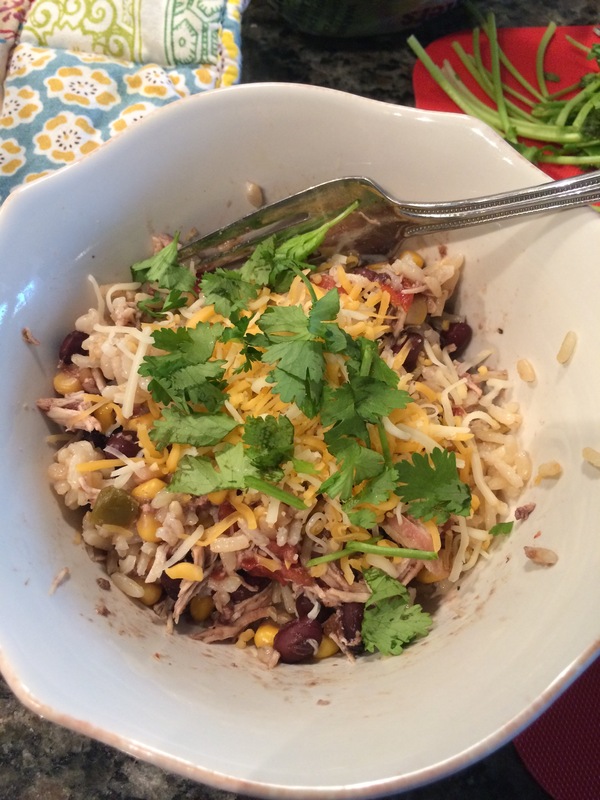 Add rice then chicken mixture topped with cheese and chopped cilantro. Previous Post Are you an introvert?